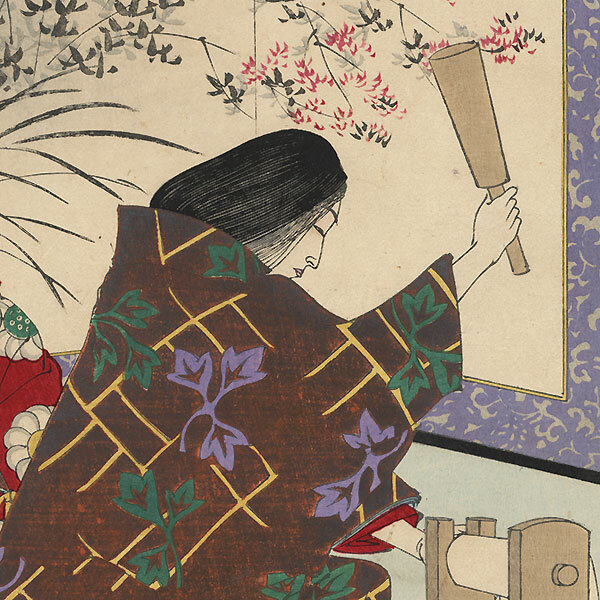 Cloth-beating Moon - Beautiful Yoshitoshi print depicting a woman of high rank beating cloth. 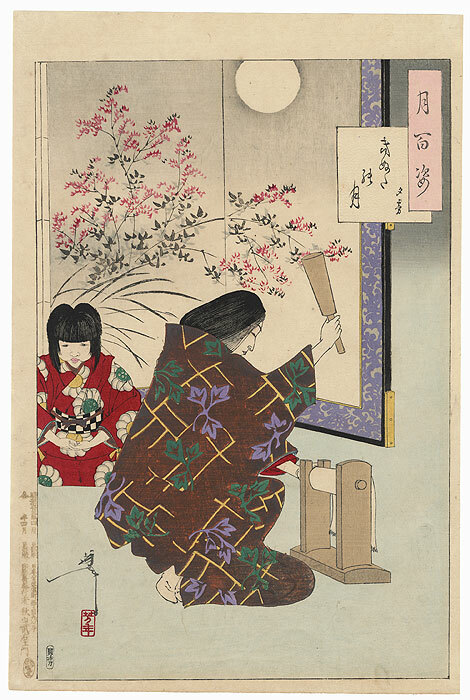 The noise of beating cloth, to soften it or wash, was associated in Japanese culture with a woman waiting for her husband to return. Though it is a lowly work, the mistress beats the cloth to busy herself while she waits for her husband to return. Here, the full moon appears on the folding screen behind the beauty above a tangle of delicate bush clover covered with pink blossoms. Detailed with burnishing in the black lacquer frame of the screen. Condition - Nice color and printing quality. 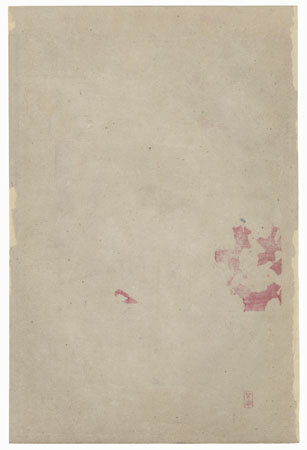 Backed with paper. Nice large margins, as shown. Slight soiling. Good overall, see photos.